Point2 Homes gives you far more than a simple list of houses for sale. Get instant access to a lot of relevant information about Westmount, QC real estate, including property descriptions, virtual tours, maps and photos. The search results pages also have a wealth of information on Westmount, QC, if you scroll all the way down. 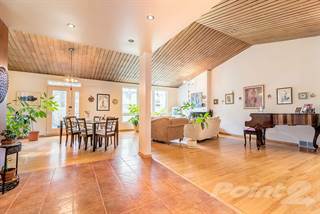 There are 10 houses for sale in Westmount, QC. 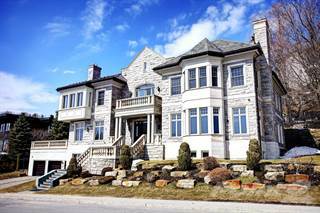 Searching homes for sale in Westmount, QC has never been more convenient. With Point2 Homes, you can easily browse through Westmount, QC single family homes for sale, townhomes, condos and commercial properties, and quickly get a general perspective of the real estate prices. Also, you’ll never miss a bargain if you filter listings based on house price drops in the past six months. Use the map view to find Westmount, QC homes and apartments for sale, based on amenities or city features that you may want close by. You can close in on a specific neighbourhood or area by simply drawing around them with the polygon or radius tools. Stay informed about the latest entries on the real estate market by saving your searches. This way, you get new listings in your inbox, daily or every week, based on your preferences. If you’d like to get in touch with a professional, agents are displayed next to their listings, and they’re easy to contact through the online forms. If you want more options, you can click the Tools tab and Find an Agent, and you’ll get a list of helpful and knowledgeable real estate agents in Westmount, QC. Visit the Point2 Homes blog and you can find up to date expert advice on many markets throughout Canada, regular market reports, neighbourhood scoops in cities throughout the provinces, real estate deals and useful recommendations. Westmount is a Canadian city in the province of Quebec. It has a population of over 20,000 people and an area of 3.9 square kilometers. The city is located on the Island of Montreal. It is often considered to bea neighbourhood of Montreal, but it is actually classified as a city in its own right. Once a largely English speaking community, it has evolved and become more bilingual. The city is largely filled with residential space but it still has everything you need to live a comfortable life. 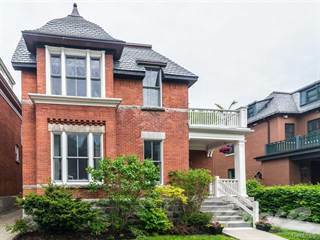 Westmount has a rich history behind it dating back to when Aboriginal groups occupied the area. The main sections of the city include the Southern and the Northern area. The southern area of Westmount is largely residential with the exception of public schools, Marianopolis College and the Montreal Children’s Hospital.Parc Westmount and the Westmount Public Library are also located in this part of the city. Along Boulevard Décarie, there are many shops and services for residents to utiliseand enjoy. The northern area of Westmount is very similar to the southern area as it is also very much dominated by residential housing. The area is also home to many schools and Dawson College is located towards the east of the area. Rue Saint-Catherine provides a large amount of shopping and services. Avenue Greene is also lined with commercial ventures such as banks, drug stores and coffee shops. The southern area of Westmount has condominiums and townhouses. The homes in this areatend to be cheaper than the other homes in the city, which are very high-class and more expensive. The homes have gorgeous and spacious interiors. Many of the properties have multiple bedrooms and bathrooms and there are many open concept homes in the area as well. The northern area of Westmount has condominiums, apartments, single-family homes and cottages. Victorian homes can be found here as well. The condominiums in this area are large and very spacious. The properties have beautiful interiors and many have a balcony or a terrace. Many of the homes can be quite expensive and extravagant. Multiple bedrooms and bathrooms are common, making these homes great spaces for families. There are two school boards that control the schools in Westmount: Commission scolaire de Montreal and Commission scolaire English – Montreal. There are also a few private schools in the area. In Quebec, children must attend a French school unless they have already attended an English school in Canada, if they are temporary residents of Quebec or if they are part of Canada’s First Nations. There are many post-secondary options available both in and around Westmount. College International des Marcellines and College Marianopolis are located within the city.The neighbouring city of Montreal also has many options such as the University of Montreal and Concordia University. Westmount is extremely close to Downtown Montreal. This makes it very convenient for plenty of the entertainment in the area. It is only a quick 10 minutesfrom Westmount to the Bell Centre in Montreal, making it easy to catch a hockey game or a concert and then return home. Westmount also puts on many events throughout the year such as choir shows and fun activities for the kids in the area. Westmount has many parks for visitors and residents to enjoy. These include Parc Westmount, Parc King George and Parc Sunnyside. Parc Westmount in particular has some trails and provides the opportunity to see plenty of ducks in the water. It has a beautiful landscape and events are often held within it. Westmount has a great location beside the city of Montreal. Highway 720 runs through Westmount and gives access into Montreal. The city is also located near the St. Lawrence River. It produces its own electricity through Hydro Westmount. Westmount has an unemployment rate of 5%, about 2% less than the unemployment rate of the province of Quebec. The economy in Westmount has been strengthening in 2016, especially in the areas of manufacturing and construction.The economy has been experiencing growth in all sectors, but much of the advancement has come from the business services sector. Thissector employs about 28% of the workforce in Westmount. The real estate industry is also quite large with 12.7% of the workforce employed there.